So off we approached a make-shift carinderia in the middle of Divisoria streets. 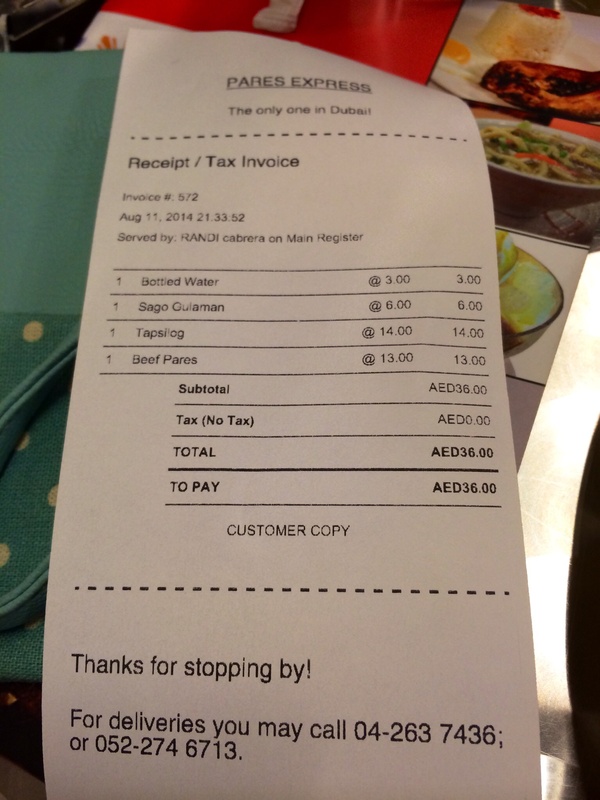 He placed the order and when it arrived on our table, I thought it was adobo! lol! 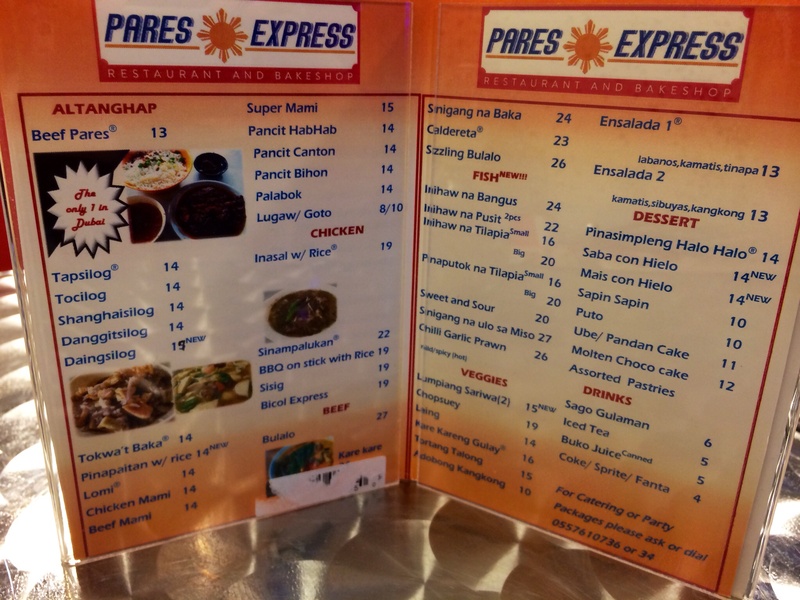 Fast forward to last Monday… Ian saw one of his friends dining at Pares Express thru his FB newsfeed. 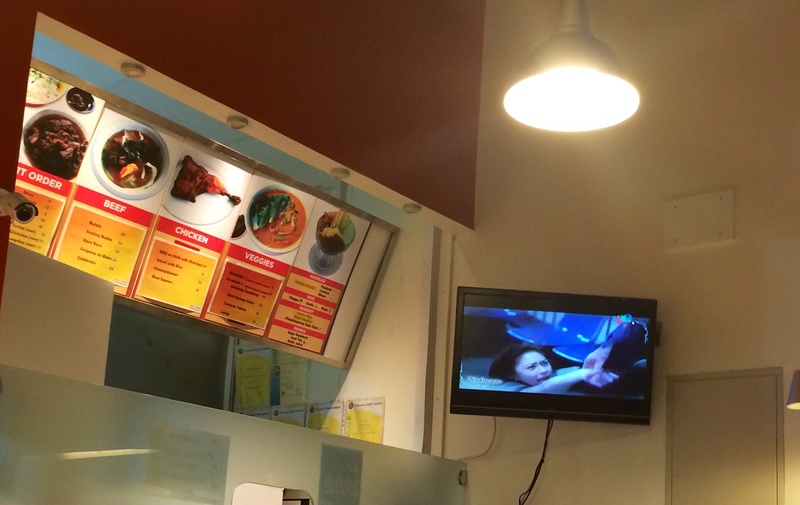 Perfect timing as we were really hungry after watching the FIBA U17 basketball match. 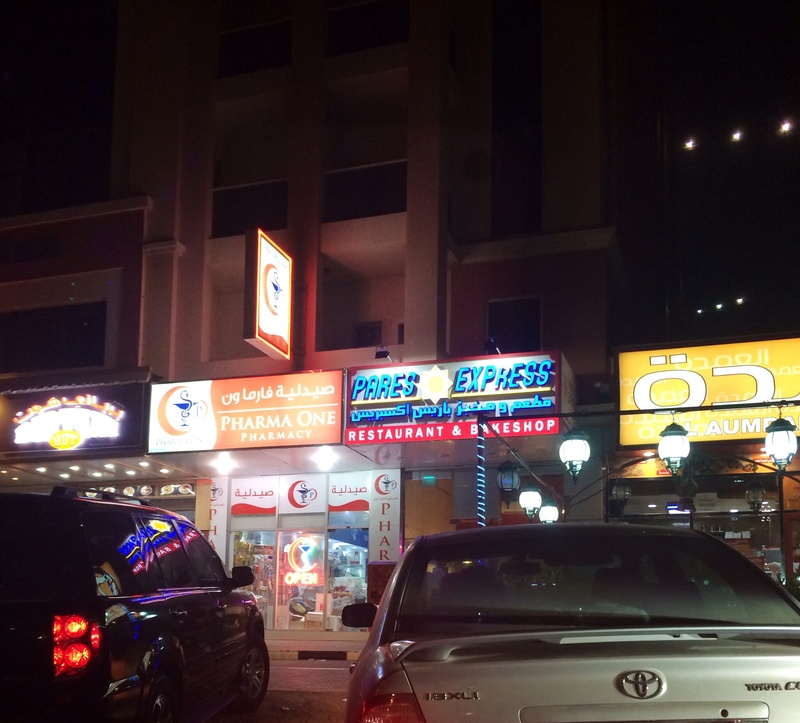 We drove to Al Qusais and with the help of google maps, we found the little restaurant sitting in between a pharmacy and an Arabic restaurant near Madina mall. 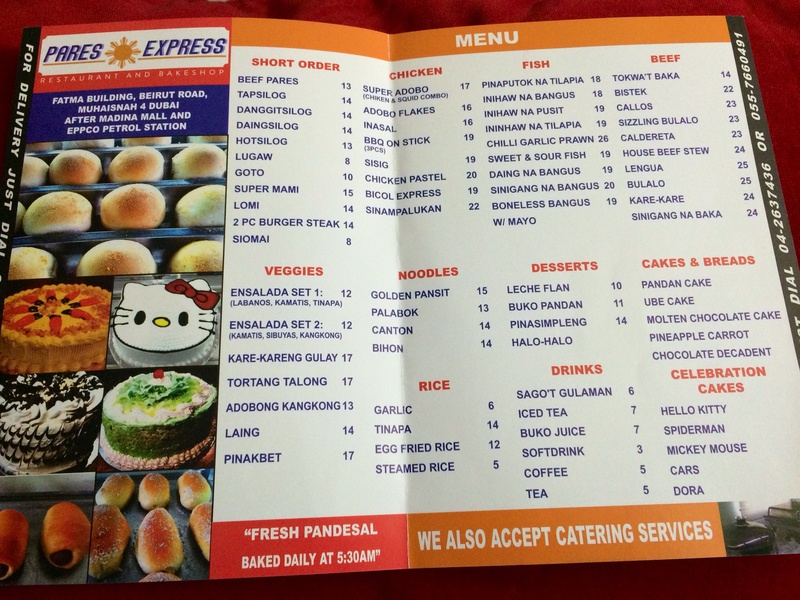 So far, the restaurant can only accommodate few diners. 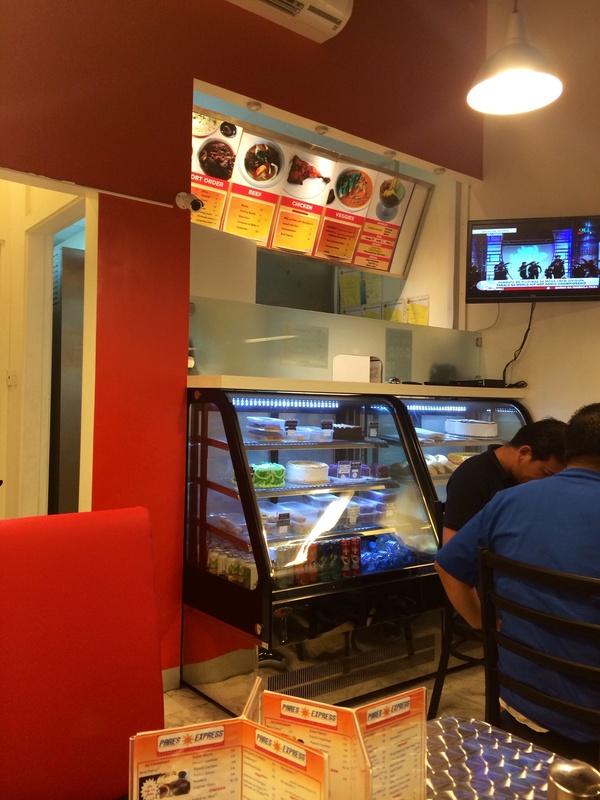 Their counter display is filled with mouthwatering cakes and pastries which include my favorite ube cake. 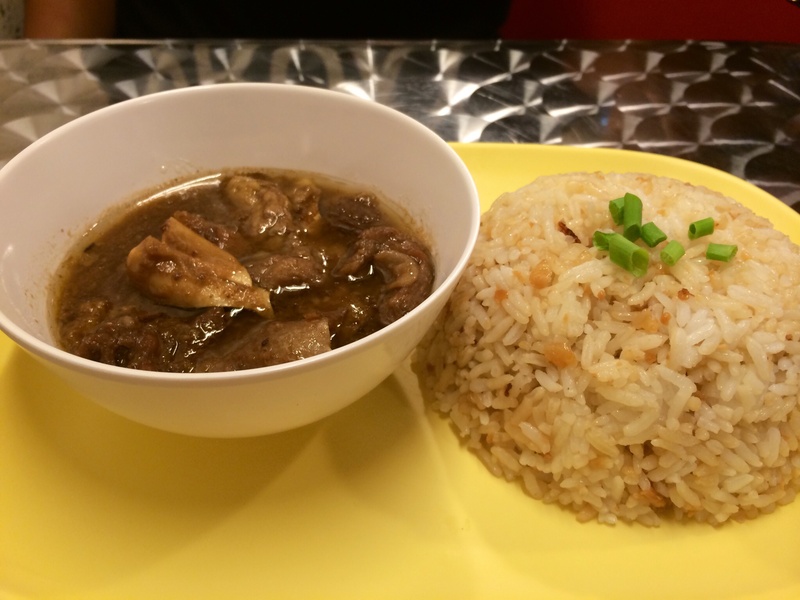 Here’s another look at “The only pares in Dubai“. 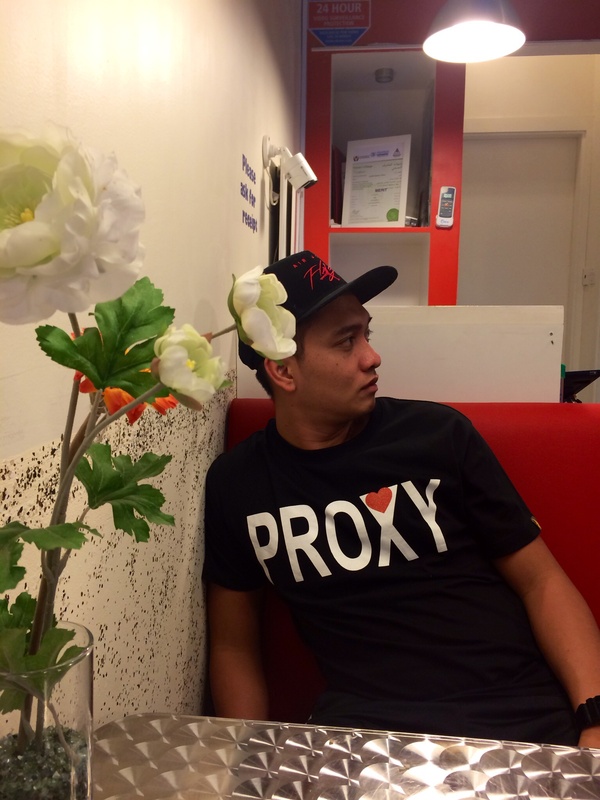 We really enjoyed our first Dubai pares experience. 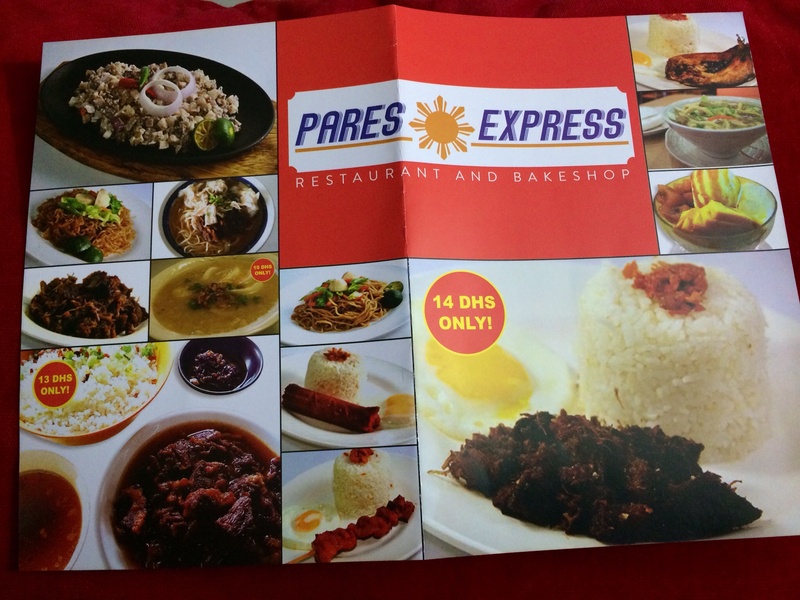 I’m sure a lot of kabayans/OFWs will be happy to learn that we finally have a pares joint nearby. The place is a bit small but I am sure they will be expanding soon. Hope it will be somewhere accessible to the commuting public. 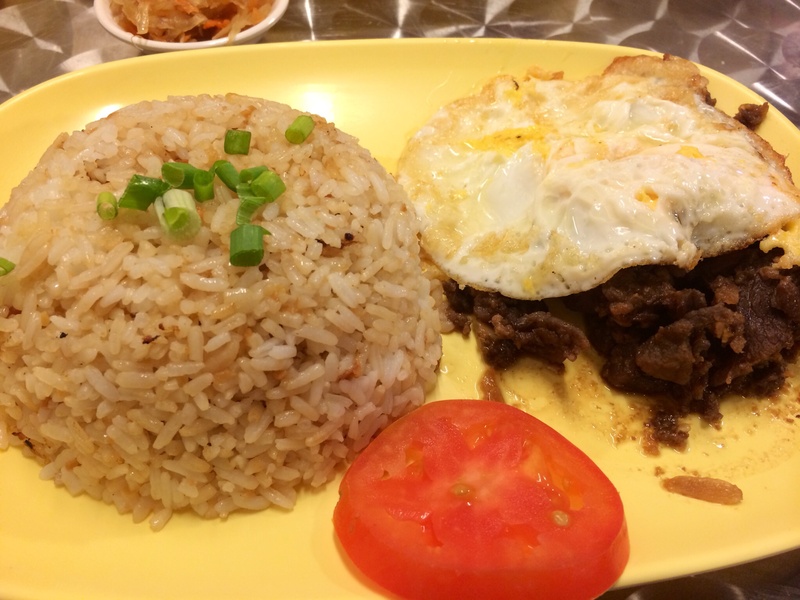 Posted in Dining in Dubai, Dubai, Dubai Guide, Food, Love, UAETagged Al Qusais, Beef Pares, dubai, Filipino, Filipino food in Dubai, Filipino restaurant in Dubai, Halo-halo, Pares, Pares Express, Tapsilog, Ube cakeBookmark the permalink. 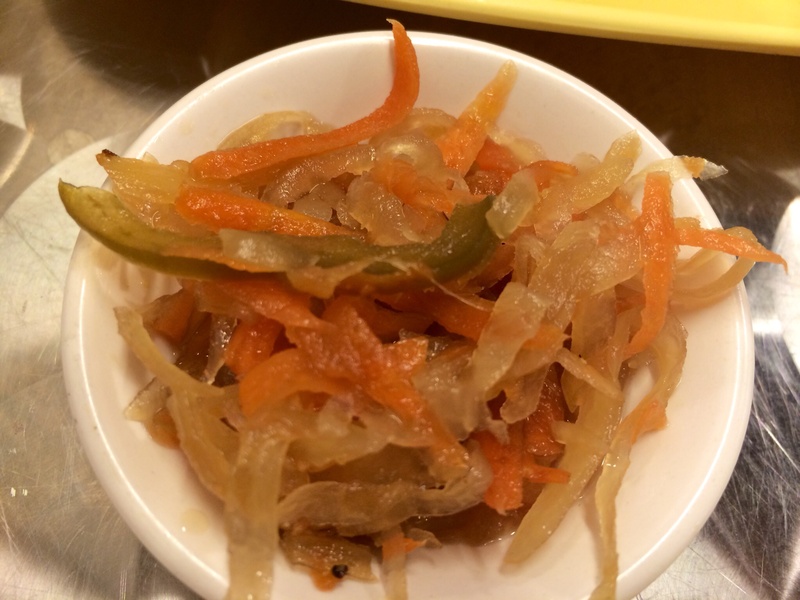 Is the taste the same as how they make it in Manila? 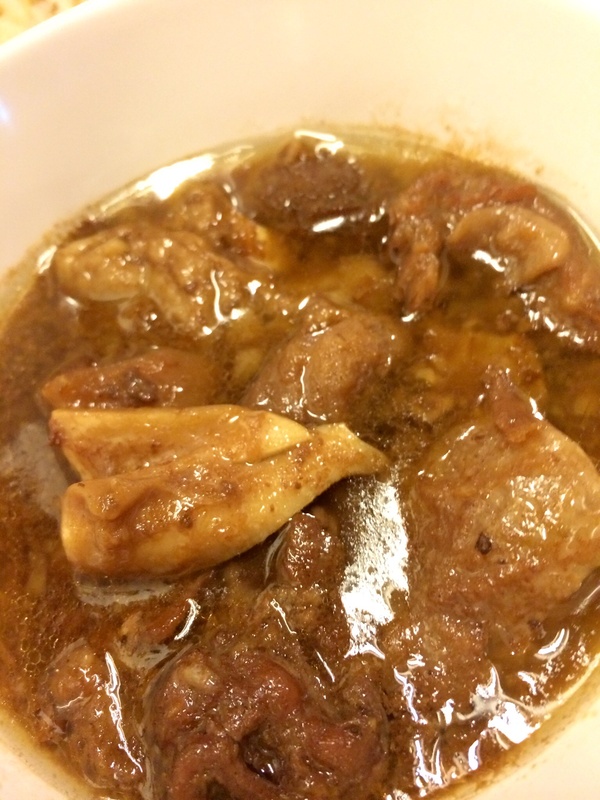 I used to eat pares a lot when I was studying there.